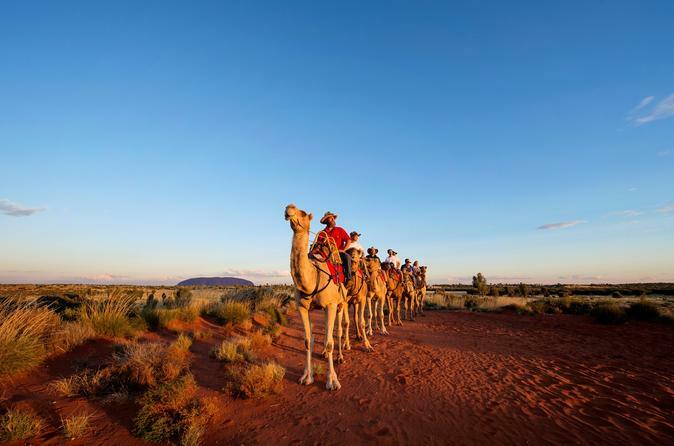 Contemplate how the outback pioneers traveled across regions of Australia on a camel tour with an expert guide. 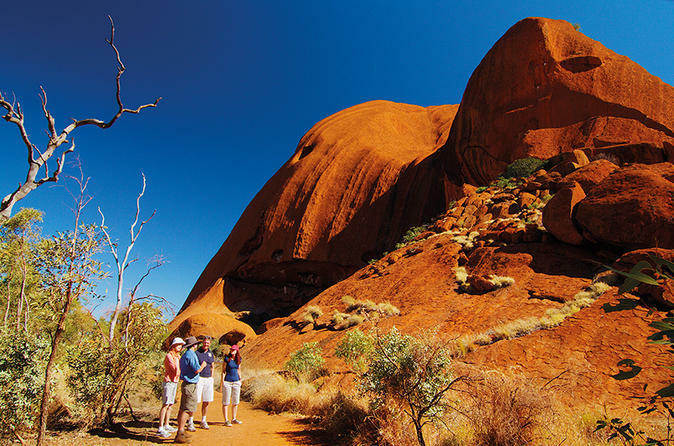 Choose from sunrise, sunset or express camel rides against the backdrop of Ayers Rock (Uluru) and Kata Tjuta. Watch the desert come to life in the early morning, or choose a later ride to see the changing colors of Ayers Rock and Kata Tjuta at dusk. If you’re short on time, take a morning or afternoon express camel ride for a taste of central Australia’s traditional transport. Along the way, your expert cameleer provides information about the desert’s wildlife and ecology, and shares their passion and respect for camels, the ‘ships of the desert,’ which played a vital role in opening up central Australia’s remote outback regions. 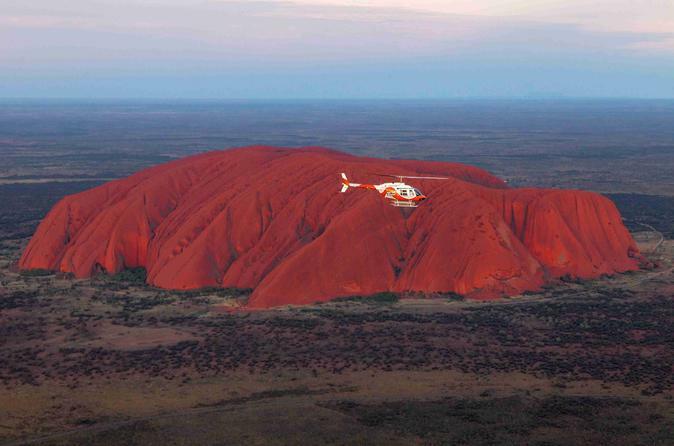 Appreciate the sheer magnificence of the Red Centre, Uluru (Ayers Rock) and the stunning Kata Tjuta (the Olgas) formations from the air with your choice of either a 15 or 30 minute scenic helicopter flight. With pick up and drop off from your Ayers Rock Resort Hotel, there is nothing for you to do but enjoy this great spectacle and adventure when you arrive at Ayers Rock. Come and join your guide on a trek around the base of Uluru as you explore the most profound and culturally significant monolith in Australia at sunrise. 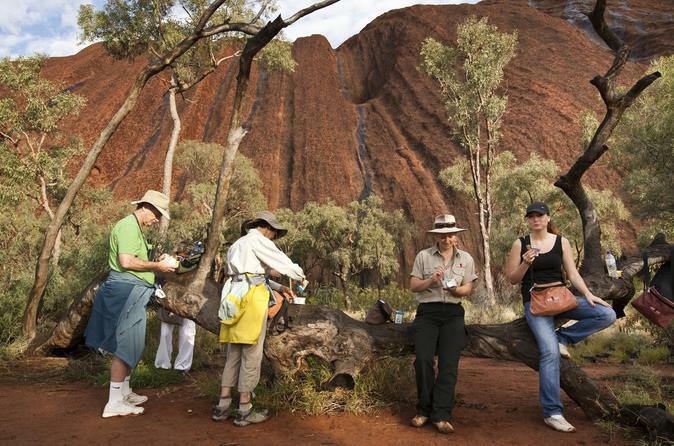 Join your Guide for a drive around the base of Uluru. Continue to the Kuniya Walk where you will be escorted to the Mutitjulu Waterhole. 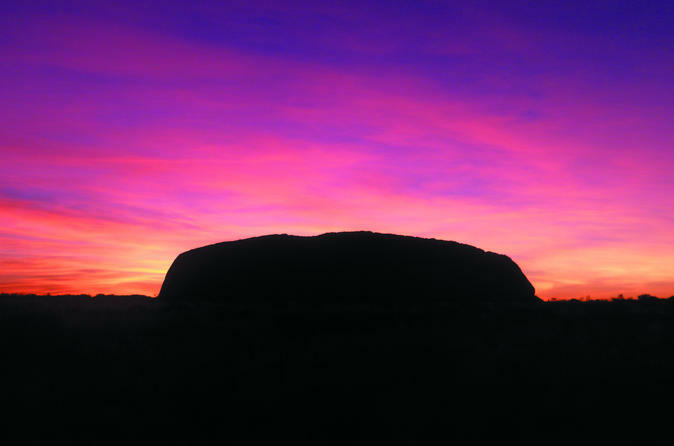 Enjoy a glass of wine and canapes while watching the sun set over Ayers Rock. See Australia’s iconic natural monuments at sunrise and sunset! 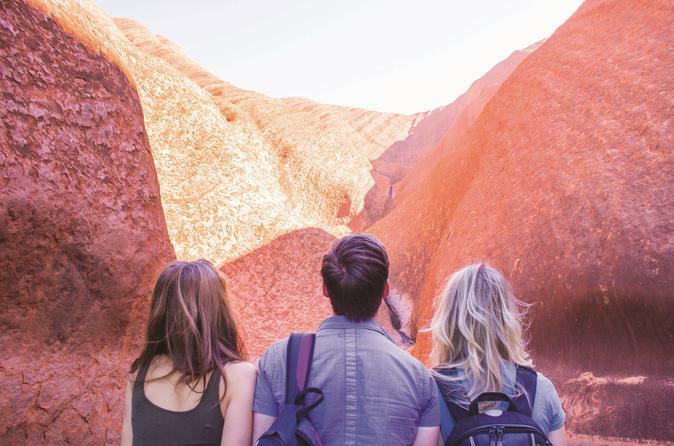 Watch the Australian outback desert come alive in a dramatic wash of color – see the rock domes of Kata Tjuta at sunrise and Uluru (Ayers Rock) at sunset! 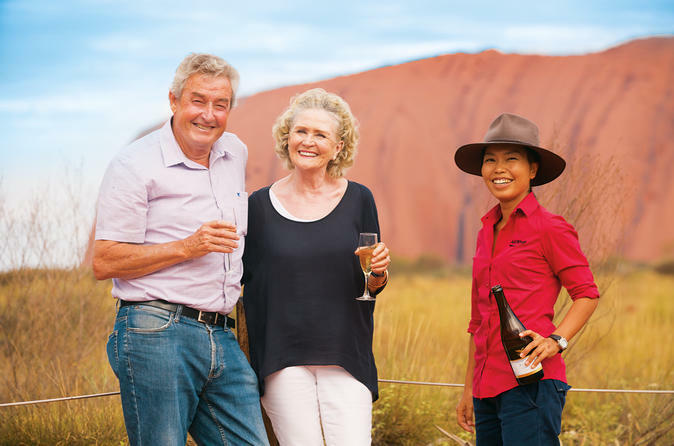 Enjoy an outback picnic breakfast and a sunset sparkling wine toast on these small group tours of Australia's two essential outback sights! 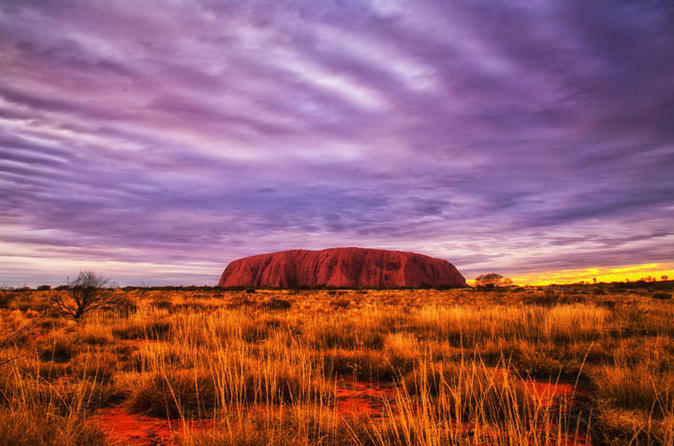 Discover why Australia’s heart is called the Red Centre on a three-day escape to Ayers Rock. 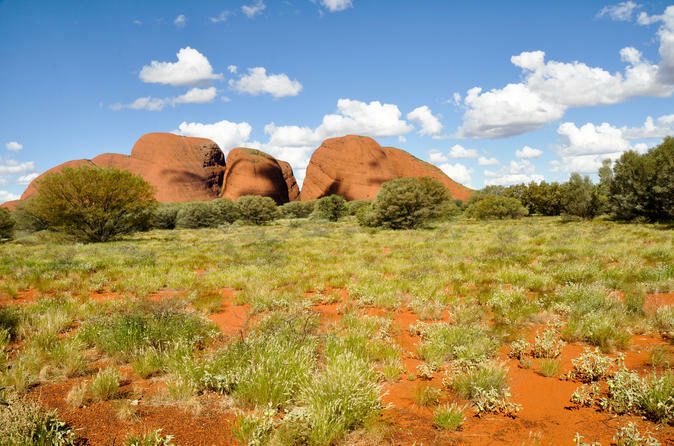 You’ll take a guided base tour of Uluru, the red sandstone monolith also known as Ayers Rock, and learn about Uluru’s importance to the Australian Aborigines at the Uluru–Kata Tjuta Cultural Centre. Experience the unforgettable sight of Uluru lighting up at sunset and sunrise, and dine under the stars at the Sounds of Silence dinner. Experience the mystic morning serenity of one of Australia’s most spiritual places! Travel to the massive rock domes of Kata Tjuta (the Olgas) and marvel as they change colors in the light of the rising sun! Enjoy an outback picnic breakfast and a walking tour of the magnificent Walpa Gorge! Traveling in a small group, with no more than 11 participants, allows for an intimate and personalized experience. 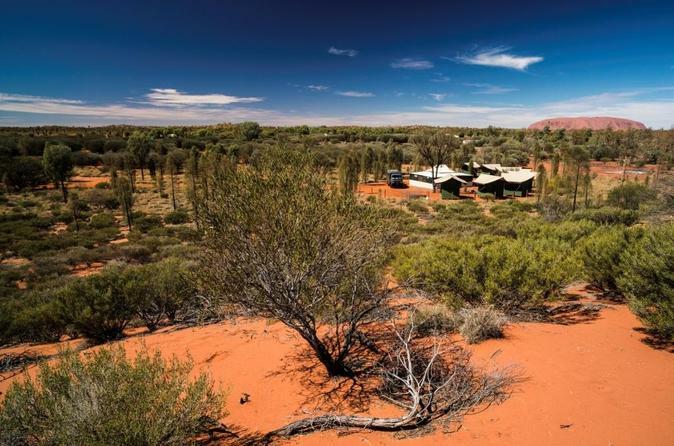 Explore Australia's Red Centre on this 3-day camping tour departing from Ayers Rock and finishing in Alice Springs. 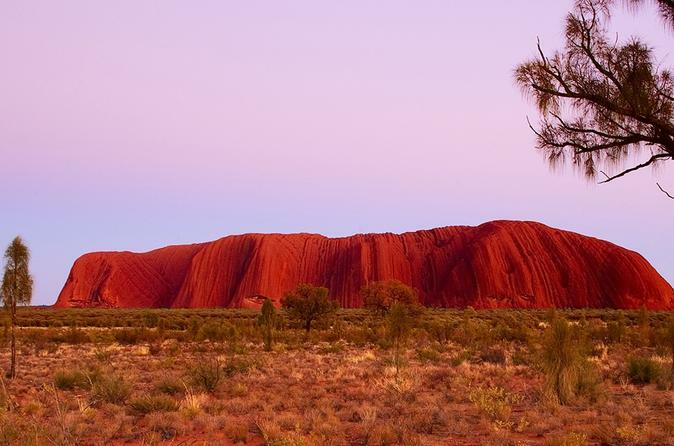 You'll visit Uluru and embark on a base walk around the iconic Uluru before enjoying the stunning sunset. Rise early the next morning and watch an amazing sunrise before visiting Kata Tjuta for a hike through the red sandstone domes. On day three visit the fabulous Kings Canyon for a three hour hike before finishing in Alice Springs. 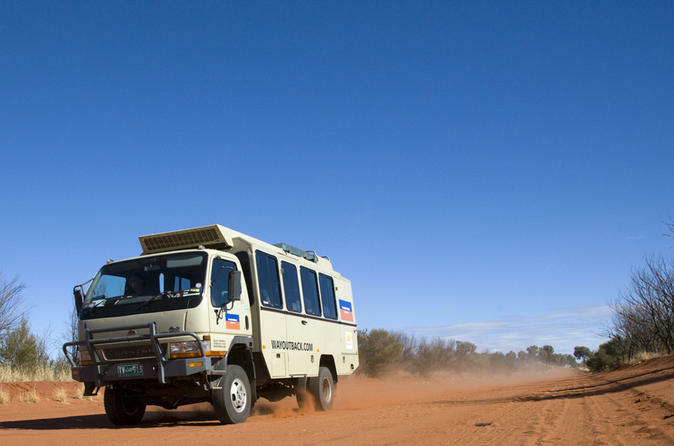 You'll travel by a comfortable 21-seat air-conditioned bus, camp overnight in swags under the outback sky, and travel with an experienced guide. Enjoy a magical morning walking around the base of Uluru, watching the first sunlight of the day creep across the desert plains, slowly changing the color of your surroundings. This walk is 6.5-miles (11-kilometers) in length. 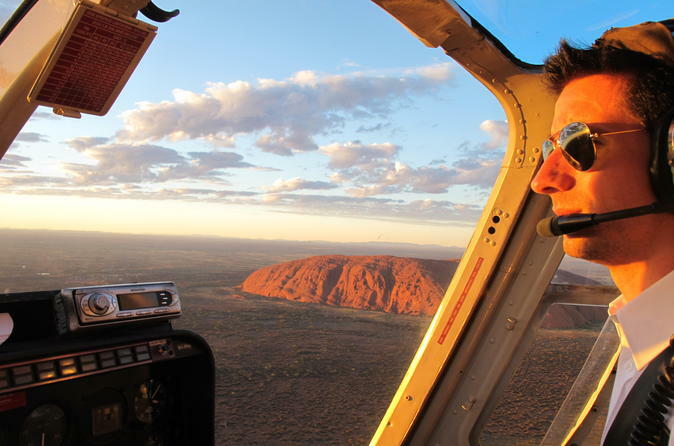 Take a scenic flight by helicopter over the iconic sandstone formation known as Uluru (Ayers Rock) as you sit back and relax taking in the incredible birds-eye views on offer. Choose to upgrade your flight and add on Kata Tjuta, an incredible large domed rock formation also known as Mount Olga. 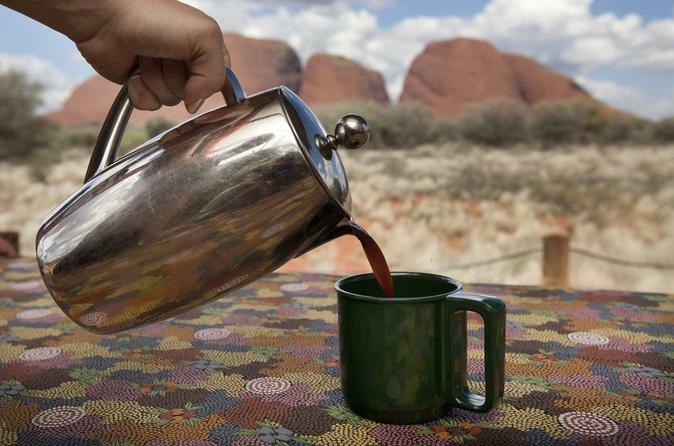 Experience the real Australian outback on this 5-day, small-group camping from Alice Springs. Travel by 4WD vehicle on- and off-road along bush tracks to Uluru (the Aboriginal name of Ayers Rock), Kata Tjuta (the Olgas), Kings Canyon and the West MacDonnell Ranges. On this once-in-a-lifetime tour, you'll sleep under the stars in private bush camps, swim in rock holes, and see ancient cave paintings and carvings come to life through storytelling by Aboriginal guides. This small-group tour is limited to 16 people, ensuring a personalized experience with your guide.